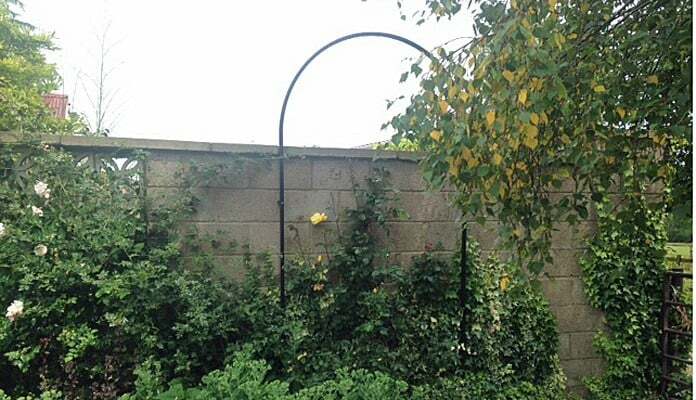 "The need for a new design arose because I removed a lot of ivy from a wall composed of concrete blocks. This was very ugly and needed some structure to lesson it's impact. This is the reason I contacted Harrods." 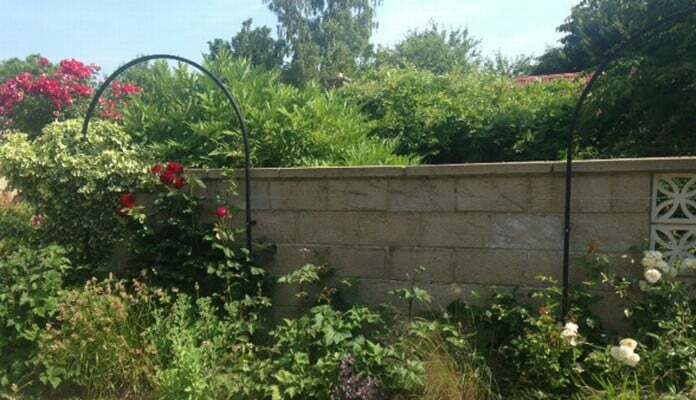 Originally contacted through our made to measure email, the customer wanted to ideally cover a concrete block wall which was rather ugly and needed “camouflaging”. 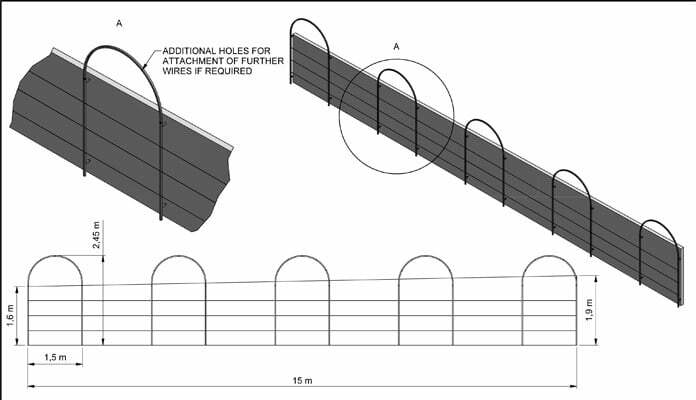 Details were supplied for the length and height of the wall and the fact that there was a 5cm protruding coping which prevented anything being mounted straight onto the surface of the wall. 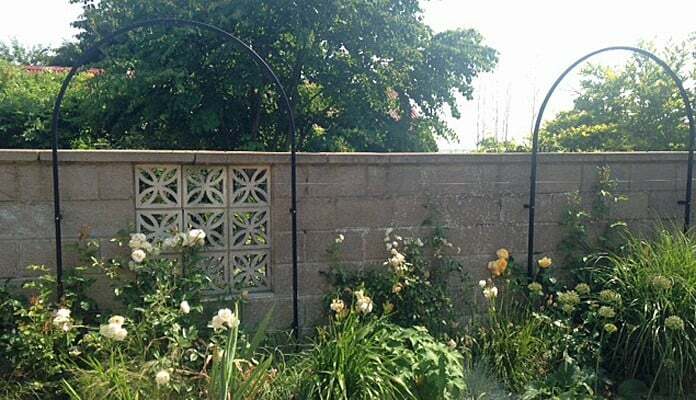 A structure was required to support five recently planted climbing roses, equally spaced in the border to alter the profile of the wall and partially cover the concrete blocks. 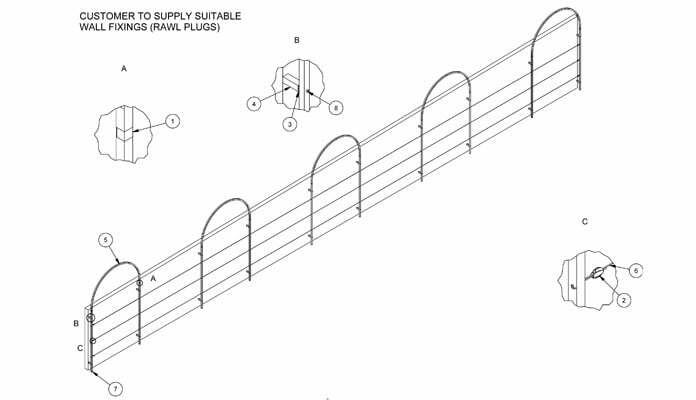 The design agreed upon used single hoop roman arches that were fixed to the surface of the wall with spacers. 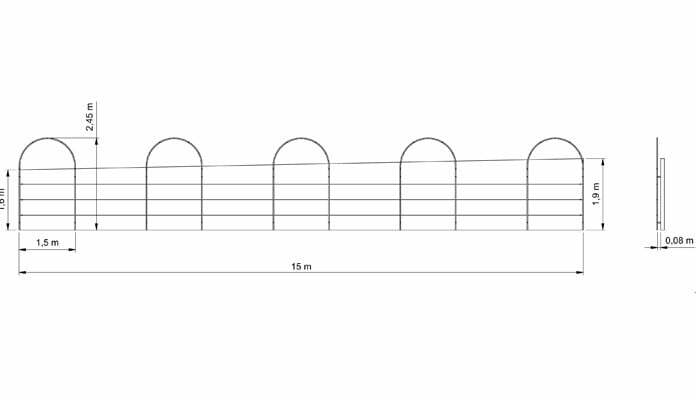 These gave height to the wall with a set pattern along it. 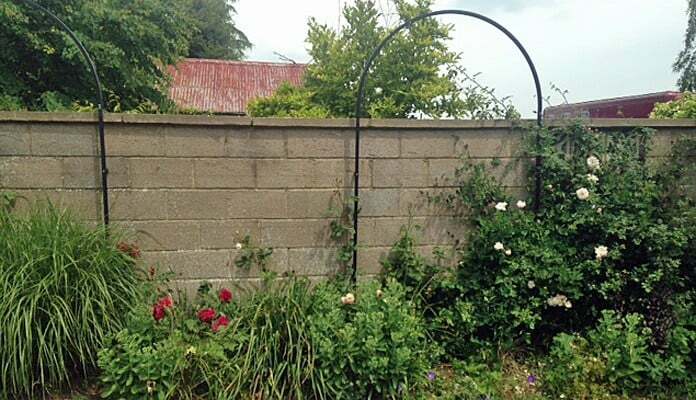 "The need for a new design arose because I removed a lot of ivy from a wall composed of concrete blocks. 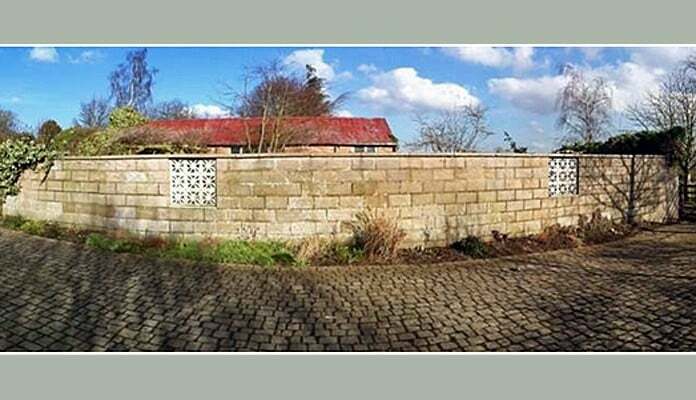 This was very ugly and needed some structure to lessen its impact. This is the reason I contacted Harrods"